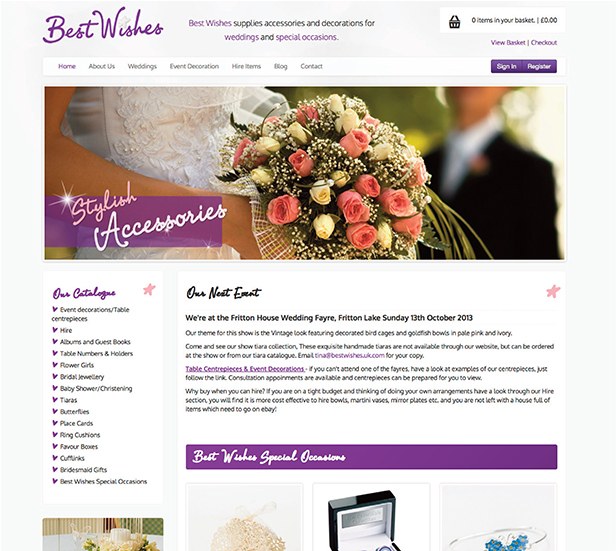 Best Wishes are a family run business created in 2012, they supply gifts and accessories for Weddings, Christenings and Baby Showers, as well as offering a hire service and an event decoration service. Their products are available to buy or hire online and through their printed catalogue. 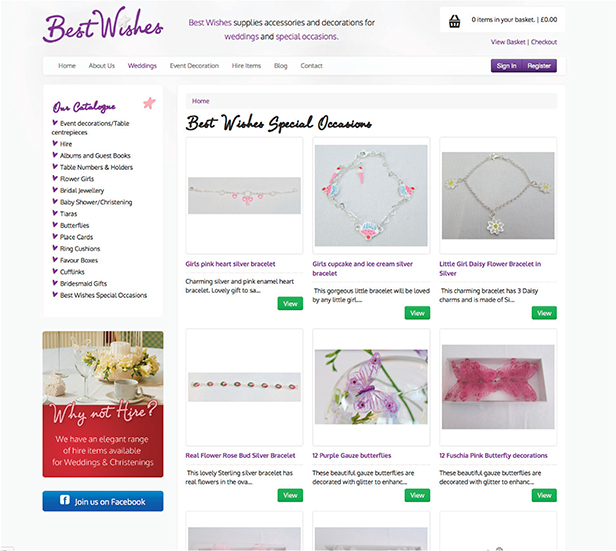 Their products range from favour boxes, bridesmaid gifts, place cards and tiaras to christening gowns and baby gifts. 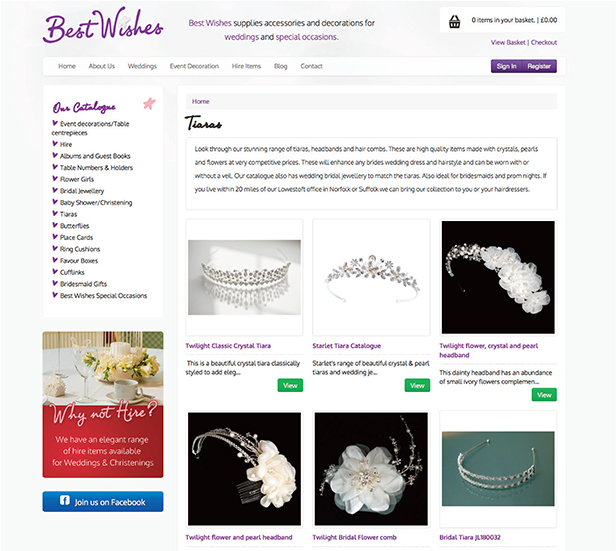 The Best Wishes E.commerce website was built for customers to purchase and hire products from the Best Wishes range. The E.commerce website was built responsively so that customers could view the website comfortably across devices such as a laptop, PC, Smartphone and tablet. The easy to use adminstrative side of the website allows the client to manage orders, invoices and emails and also to edit products/content and stock numbers.